JetBlue Airways expanded its extensive Caribbean network Thursday with the launch of weekly service from New York's John F. Kennedy International Airport (JFK) to Antigua’s Antigua and Barbuda's V.C. Bird International Airport (ANU). The new JetBlue flights will depart Tuesdays, Thursdays and Sundays, carrying travelers to the airline’s 34th destination in the Caribbean and Latin America. “Antigua and Barbuda offers another opportunity to grow our network in high-value geographies and strengthen JetBlue's position as the leading brand for Caribbean travel," said Umang Gupta, director of JetBlue Getaways and leisure sales. The JetBlue flights will utilize ANU’s new $100 million, 247,569 square-foot terminal, which opened in August. The new flights and airport facility are an Antigua government effort to significantly expand the country’s tourism infrastructure and investment initiatives. The new JetBlue flights will operate aboard its A320 aircraft and depart in the morning, with return to the U.S. in the early evening. The schedule is designed to provide visitors with maximum time in the destination. The expanded flight schedule will serve what tourism stakeholders here envision as a significant visitor arrivals expansion in the coming years. 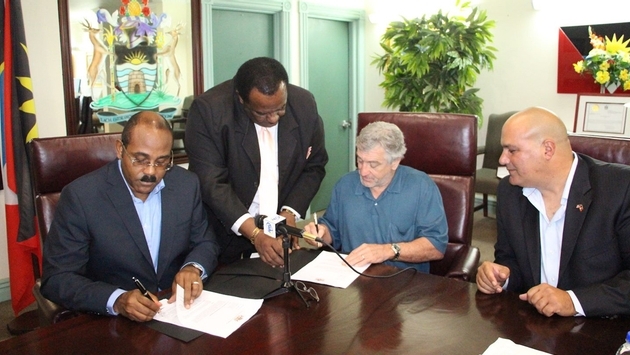 This summer Antigua officials announced an “aggressive” program of resort developments and infrastructure improvements, highlighted by a $250 million Barbuda development backed by Academy Award-winning actor Robert DeNiro. JetBlue, meanwhile is making good on its plans to significantly expand its Caribbean flight schedule. JetBlue now serves 27 Caribbean airports and one-third of its fleet capacity is devoted to Caribbean and Latin American cities. The airline launched service to Mexico City and Grenada earlier this year and will expand its Mint premium-class option to Barbados and Aruba for seasonal service beginning Nov. 7. 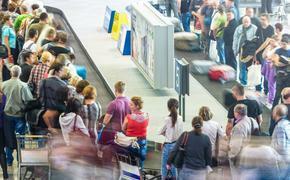 Tourism officials undoubtedly hope the new flights will re-energize what to date has been a disappointing year. Antigua and Barbuda hosted 116,570 overnight visitors between January and June according to Caribbean Tourism Organization data, a 4.2 percent decline versus 2013. In 2014 the dual-island nation hosted 249,316 visitors, a modest 2.5 percent increase over 2013.